“Connecting Japan and the world through sake.” It all started with an idea. Now, Yukari Yanaba is living her dream and working hard to take it even a step further. For Yukari Yanaba, owner of the Tokyo-based sake bar Sake Scene Masufuku, a cup of sake goes deeper than just a drink. For her it’s a story — this of the people who spend seasons making it; this of the customers who come to the bar to taste it, and this of her own life dedicated to it. Last year, at the age of 40, she took a new path in her career leaving the corporate Japanese life to embrace a new goal she had always wanted to pursue — introducing the traditional Japanese drink to the world and helping Japanese sake makers promote their businesses. The entrance to Yukari Yanaba’s bar Sake Scene Masufuku in Daimon, Tokyo. 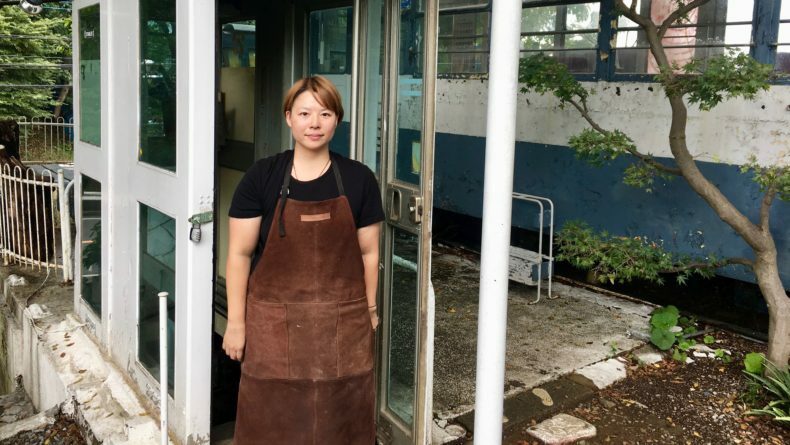 So after years of waiting for the right chance, last September she started her journey by opening a small sake bar near Tokyo Tower, in the neighborhood she was born and raised. 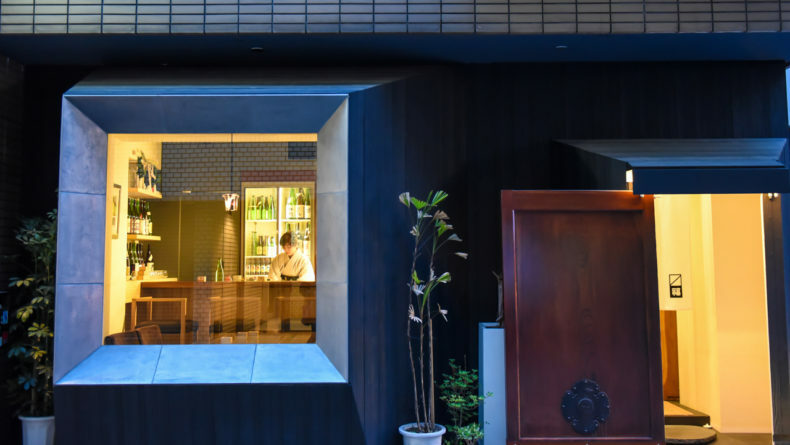 Now, a year on, this bar serves as a place where foreign visitors come to taste over 40 kinds of Japanese sake, selected by Yanaba herself, where each glass comes with a story of its roots and making. 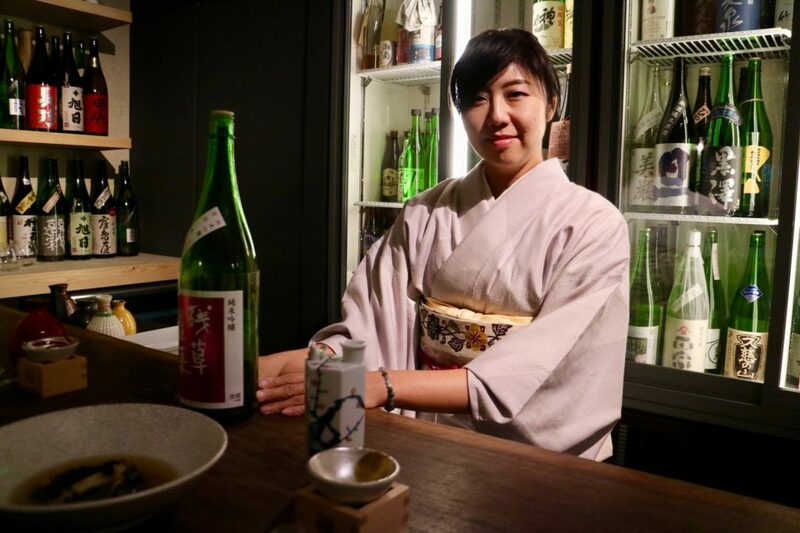 The Savvy Tokyo team caught up with Yanaba to learn more about the bar, her passion for sake, and the road that led to its opening. First things first — tell us a bit about your background. I was born and raised in Tokyo. Before I opened Sake Scene Masufuku, I used to work for the Tokyo branch of a German manufacturing company. Before that, for a long time I was working in logistics and import industries. That’s one factor that inspired me to promote Japanese sake. Yukari Yanaba at her bar on a regular weekday evening. That’s a very sudden change — from logistics to bar ownership. What made you pursue this change? I’ve always been interested in learning about the world and communicating with people from other cultures. A few years ago, I traveled to Spain for a year with my daughter as a study exchange to learn the language and culture. I wanted to experience a different language and culture, not just English, which I already had a certain proficiency in after going through another exchange in Vancouver as a student. 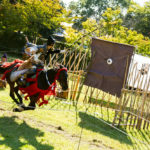 The more I traveled abroad, however, the more I started rediscovering the richness of the Japanese culture and I started to think that my ideal job would be something that connects Japan with the rest of the world. One thing led to another and here I am, standing behind the counter! Japanese sake makers are struggling to maintain their businesses and many local sake breweries are shutting down year by year. What are the three most unique features of your bar? 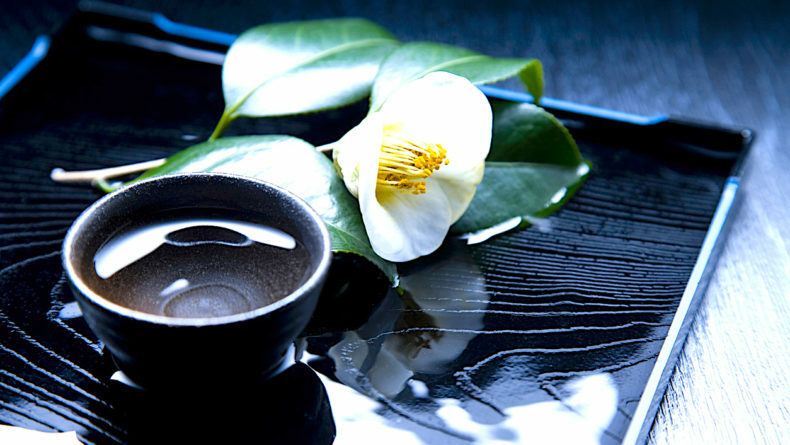 We introduce sake brands in English, including characteristics, taste and the story behind it. 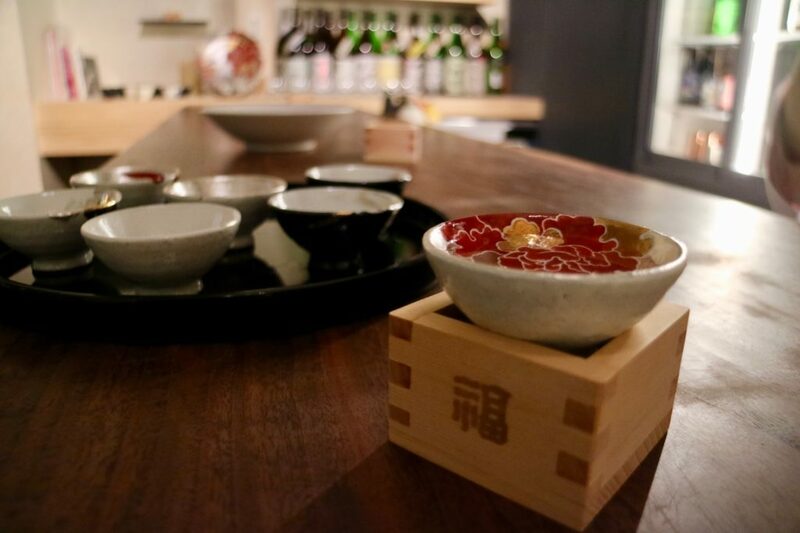 We also pair sake not with Japanese food but with French dishes, thus introducing a completely new concept that appeals to both foreigners and Japanese. The third is that we support local breweries and try to connect them with the rest of the world by serving their products and sharing their stories here. Were you always a sake fan? No, I was much more into wine (laughs). I even have a “wine expert” certificate. 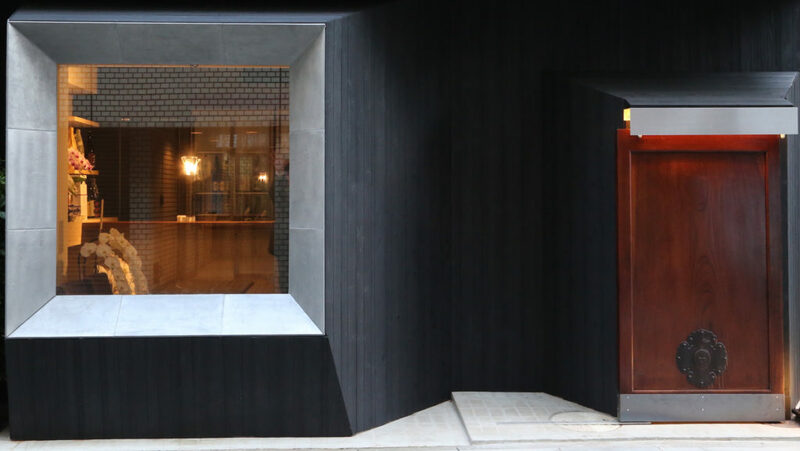 But rather than opening a wine bar, I wanted to do something that involves the Japanese culture. I also came to know that Japanese sake makers are struggling to maintain their businesses and many local sake breweries are shutting down year by year. Only the most profitable remain in business. In contrast with wine gatherings, which are usually quite pricey, sake gatherings tend to be very cheap — including the food. So I started wondering about the sake makers and got concerned: How are they making ends meet? I want my bar to function as a place where foreign customers can learn about Japanese sake, not only its taste, but also its culture and traditions. What are some of the major problems Japanese sake makers are facing nowadays? They are all craftsmen dedicated to their work, but when it comes to PR skills — especially toward foreign customers — they are at a complete loss of what to do. That is where I thought I can come in and support them. What practical support do you offer to those local sake breweries? As of present, I focus on collecting information from consumers, not only here at the bar, but also by attending various international events. 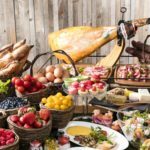 I traveled recently to Monaco, Paris and Madrid for various wine events. I met with many professionals who shared valuable information on what is expected from Japanese sake breweries. I am currently trying to develop a system to convey the feedback I receive directly to the makers. 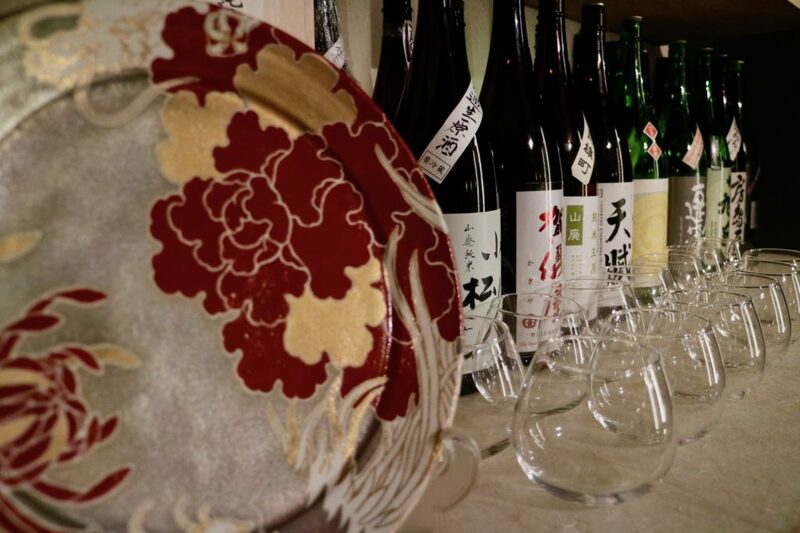 There are over 40 different Japanese sake brands ready for tasting at bar Sake Scene Masufuku. Your life must be completely different now. 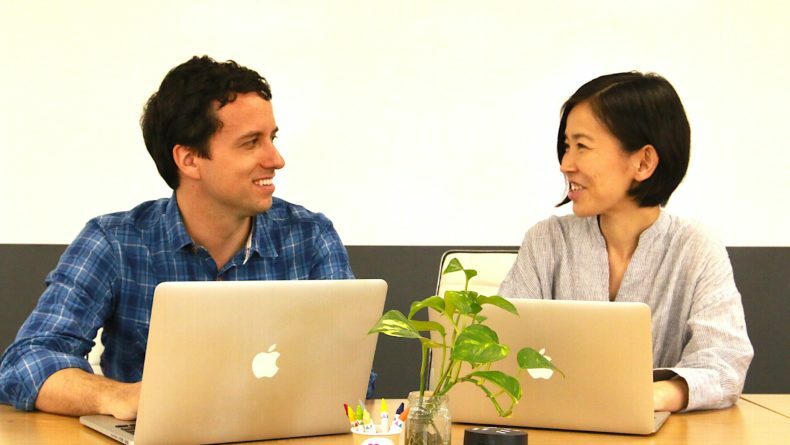 What was the process of setting up your business like? I started with just the idea. Nothing else. But last year I participated in a business contest organized by Tokyo Startup Gateway, a business mentoring initiative by the Tokyo Metropolitan Government. It really helped me narrow down my business vision. They taught me about who to target, how to target, where to start from, how to promote my business, and so much more. 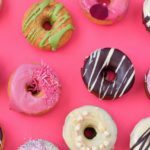 I started by submitting a basic proposal and they helped me develop it into an actual business. It was a good system — and it was also free, which was great! My proposal was entitled “Connecting small sake breweries with the world.” I became a semi-finalist, which gave me confidence and equipped me with a great support group who helped me a lot. How did you learn all the know-how of serving Japanese sake? I started by obtaining an International Kikisake-shi (Master of Sake), a Japanese license issued by the Sake Service Institute. 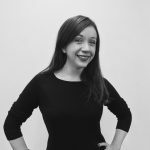 I also have a Sake Sommelier qualification and I recently also took a 6-month WSET Sake Level 3 course, a London-born qualification for professionals working with wine and other liquors. I’m still waiting for the results. Prior to opening the bar, I was also organizing regular sake tasting gatherings for foreigners through my Meetup group, Sake Scene & Fun. We would chat over food and sake selected by me. Yanaba has a long list of professional qualifications on sake serving. Do you still continue those events? Yes, my Meetup group now has over 1,200 members and we still organize various events, many of them now here at the bar. It gives us great opportunities to gather over sake and also promote the bar. Impressive. 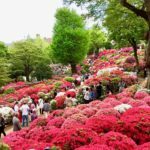 How do you foresee the future of Sake Scene Masufuku? Do you have any concrete plans for its development? Yes, in fact, I was just putting a proposal together to apply for financial subsidies. My next goal is to organize sake tours and seminars on Japanese sake for foreigners, as well as tours to actual sake breweries. I’ll be working with travel agencies on this project, which will hopefully help. In addition to that, I also plan on working as a private guide for Airbnb tours. I also want to have more events here at the bar in the near future — sake tastings, gatherings with sake makers, which we did this year already once. But it’s good to have more of it — for the guests and for the brewers too. It’s a good way to exchange information and opinions. Further down the road my business plan is also to export sake. Sake Scene Masufuku is not only a bar, but a place where various sake-related events are held. 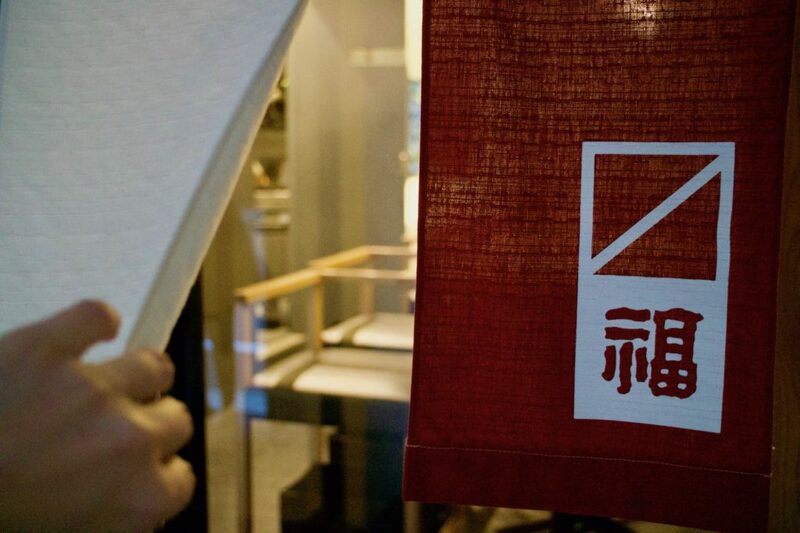 The place is small, but comfortable, and each tableware is carefully selected to impress customers. Sounds like a lot of work for one person. What do you do to relax? Is there something about you that readers would be surprised to learn? It’s a bit embarrassing to say, but even though I’m a mother (of an 18-year-old), I rely on my daughter more than she does on me. I always reach out to her for advice and she — being very mature — always provides it. We’ve traveled a lot together around the world and we have learned to stick to each other. If you don’t start it yourself, nothing will ever happen. Last but not least, if you were to give an advice to someone who’s about to do the same as you, what would it be? Just be brave and take a step forward. If you don’t start it yourself, nothing will ever happen. It’s also essential to build good connections with people over time. While you start it yourself, you can’t complete it alone. 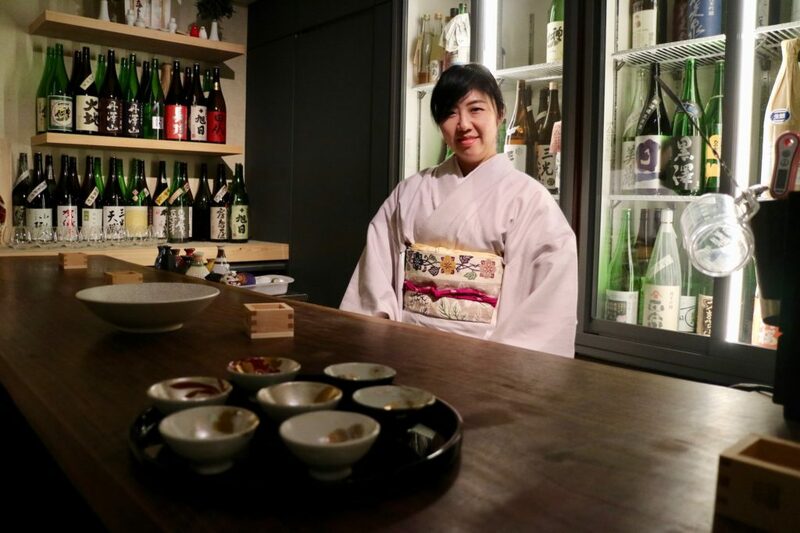 For more information on Yukari Yanaba’s Bar Sake Scene Masufuku, see here. You can find it at 2-11-20 1F Shibadaimon, Minato-ku, Tokyo. It’s open from 6 p.m. to 11:30 p.m. from Monday to Friday and 6 p.m. to 10:30 p.m. on Saturday. It’s closed on Sundays and national holidays.